I's been some time since I finished this book, therefore my short review is based on quite stale memory :) This book is great and if you want to familiarize yourself with the "Lean" theory you should definitely read it. This book will help you understand why lean and agile methods work and how pioneers in this field implemented them in the real projects. 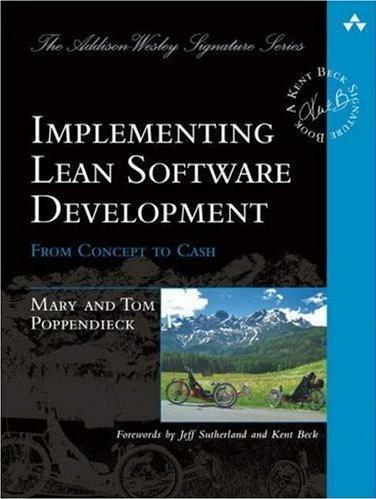 You will learn about Seven Principles of Lean Software Development an get to know how to put them into practice in your company. This book is full of great examples and pieces of advice you should take seriously. Sometimes it becomes boring but all in all it is a great position you should have in your library. AFAB - Absolutely Fu**ing Amazing Book! I loved the first edition of this book and I really really waited for the second edition covering Java 5 features. I am not disappointed - this book is ABSOLUTELY FU**ING GREAT! And I'm not exaggerating. Every Java developer has to have this book at hand. If you don't use "items" presented in this book you cannot call yourself good Java developer. Joshua Bloch presents Java language in a fantastic way, he shows common problems and easy (not always) ways to solve them. I use many of his pieces of advice every day and I see my Java code is simpler, cleaner and works better. And recently I find myself referring to this book when I encounter a wall and I cannot jump over it - this book helps me in, say 80% of the time. 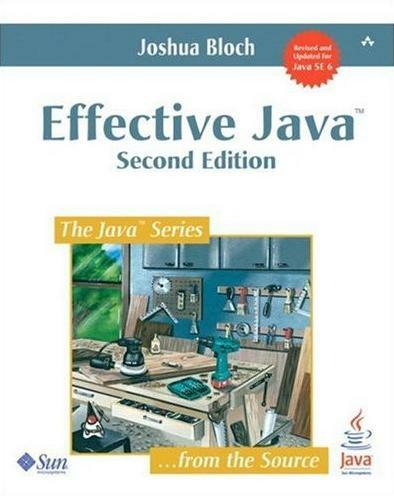 An finally if you want to prepare yourself to the Sun Certified Java Programmer exam you will be prepared in 90% after reading this book. You will just need to cover some examination tricks with other resources (BTW. it took me two days). This book disappointed me - it is my first and very important statement about this book. It starts with the "big bang" - no introduction, no description - just FIT. This is a really good definite guide to the FIT Framework and FitNesse but it lacks simple and concise "big picture" description. 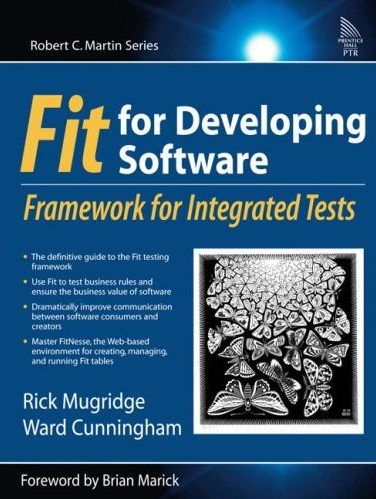 FIT seems to be very complicated to both developers and business people but in fact it is not (at least I believe it is not). I see a big big potential in FIT but this book doesn't sell it very well. And from the developer's point of view FIT tests are not object oriented and it hurts (for example tests of many tables in one when you have to "store" one fixture in the static field and access this static field from another class - ugly!). Also creating custom forms is a nightmare (the invoice example) - if you move some fields or modify simple layout of your invoice (it happens, right?) you will break everything - maybe this is the expected result? Anyway - if you want to know what FIT is and then use it, this book is for you. But don't expect clear and concise explanation of what FIT is. This is rather too technical book for business analysts and too "null" (I used "null" because I can't even find relevant adjective) book for developers. To finish with a good accent - if you want to use FIT and need details, this book will work fine. This is a definite guide for FIT. PS. You may find all the previous reviews here.